So this ought to be good. The 720S has spent the last 18 months knocking our socks off, and is arguably the model that nailed on McLaren's reputation as a maker of truly world-beating supercars. 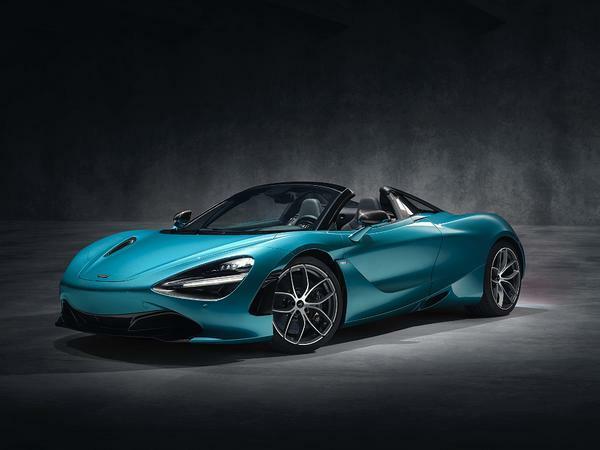 Now, the follow-up: the 720S Spider - "the most accomplished convertible supercar ever" from the brand, and capable of 202mph with the roof down. 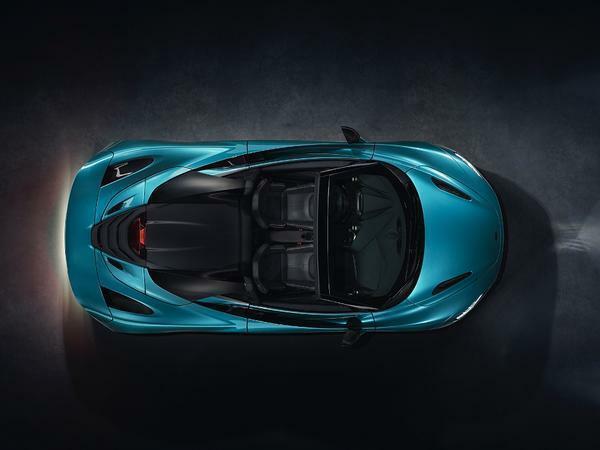 As with the 570S Spider, it is chiefly the Retractable Hard Top which differentiates the new model's design from the coupe. 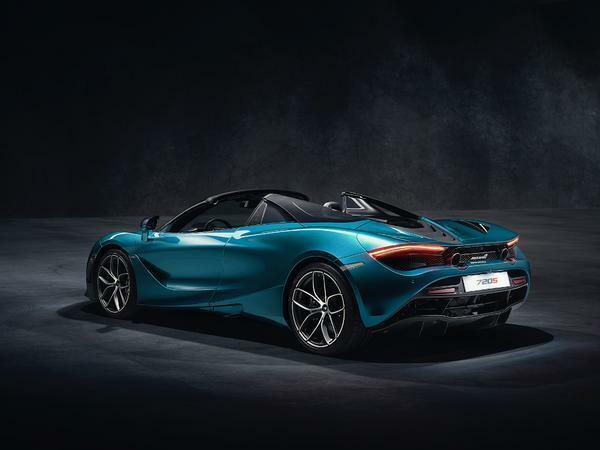 The canopy-like rear window has gone and the convertible 720S gets glazed 'flying buttresses' much like the Sports Series version, but the teardrop shape of the cabin and its sleek profile are largely preserved. The clever bit is the additional engineering work required to safeguard the designer's pen strokes. 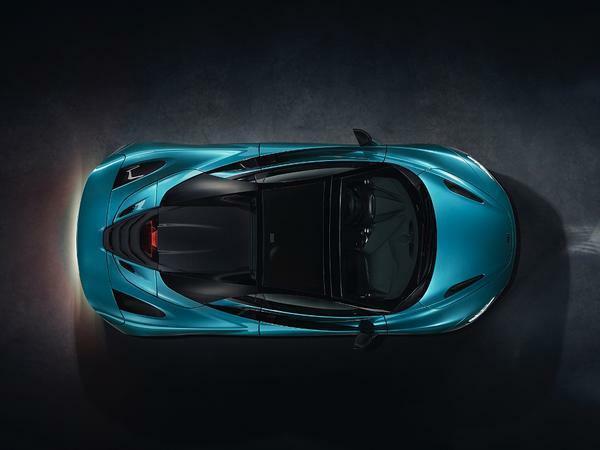 Like all McLaren road cars, the 720S featured a carbon fibre body structure, but unlike previous versions the Monocage II architecture featured a central 'spine' running overhead from front to back. The Spider sheds that innovation - becoming the II-S in the process - but apparently requires no additional strengthening to ensure "exceptional dynamic agility". Instead, a 49kg weight gain over the coupe is mostly attributed to the RHT itself and the tonneau system. 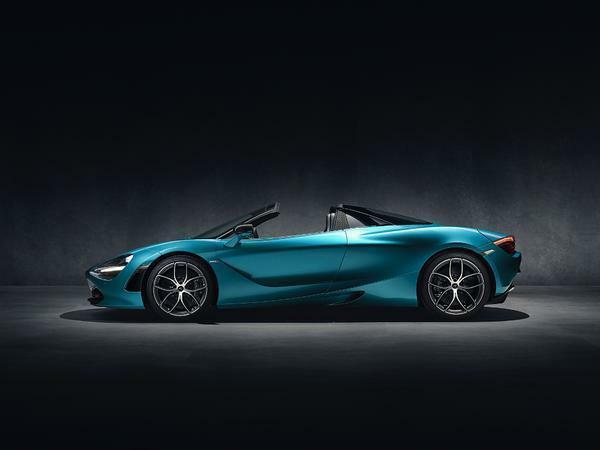 At 1,332kg dry, McLaren says the convertible 720S is "comfortably the lightest car" in its class. Certainly it will be among the quickest: the 720hp 4.0-litre twin-turbocharged V8 is unchanged from the coupe, and its performance is almost exactly replicated too, with 0-62mph covered in 2.9 seconds and 0-124mph just 0.1 second slower than the marginally lighter model. 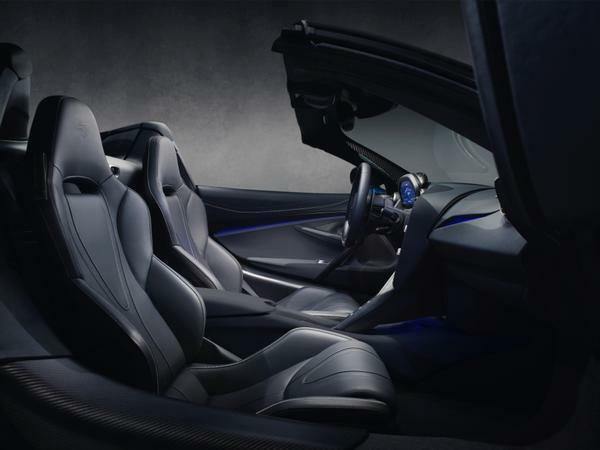 With the roof up, its maker says it will ultimately hit the same 212mph top speed. 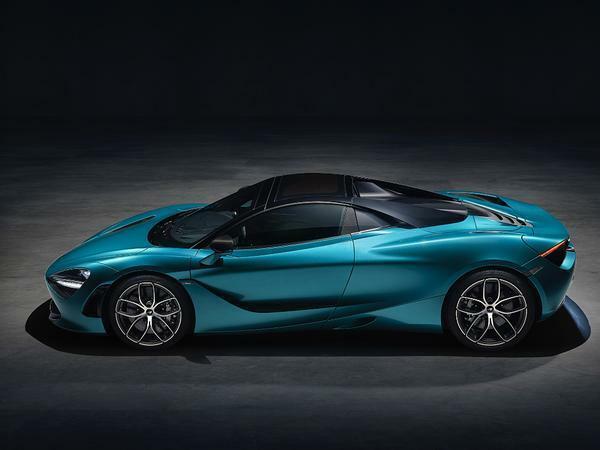 That reflects McLaren's typically obsessive approach to aerodynamic efficiency, not to mention gains made in reducing the size and weight of components like the rollover protection system. 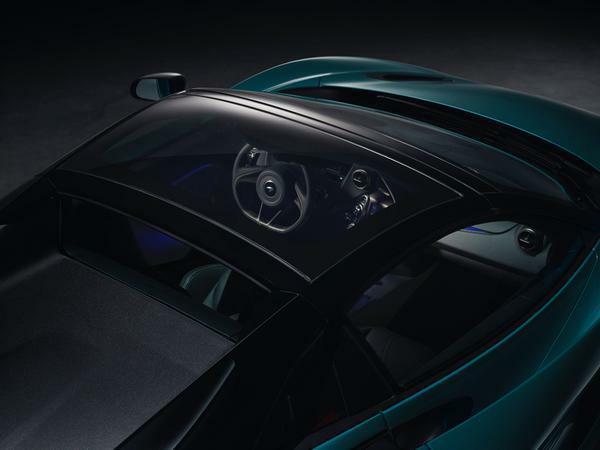 The RHT - which is a one-piece carbon fibre roof as standard, but can be glazed, too - is itself all-new, and now driven by electric motors rather than hydraulic ones. 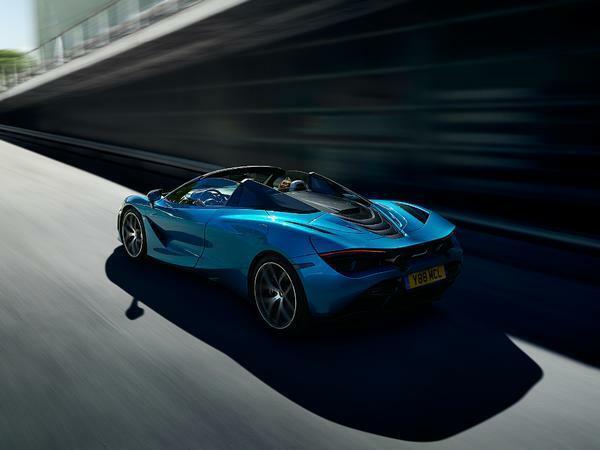 The manufacturer claims impressive speed for this system, too, suggesting it can be raised or lowered in just 11 seconds - a six second advantage over the 650S Spider. It'll also manage it at 31mph, where its predecessor would wave the white flag at 19mph. 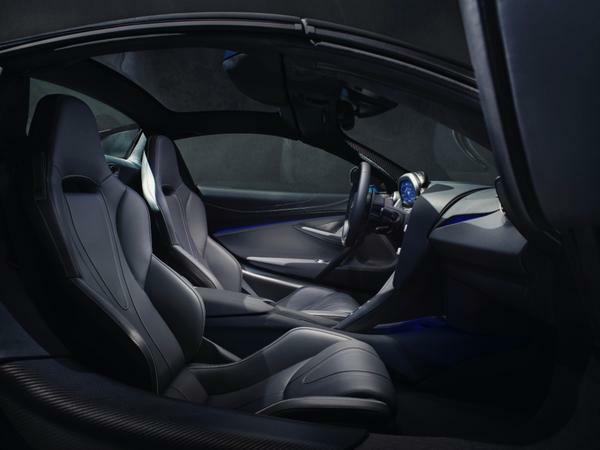 Expect it to be quieter while working as well, and quieter underneath, with noise levels in the cabin "measurably less" than those experienced in the coupe version of the 650S. 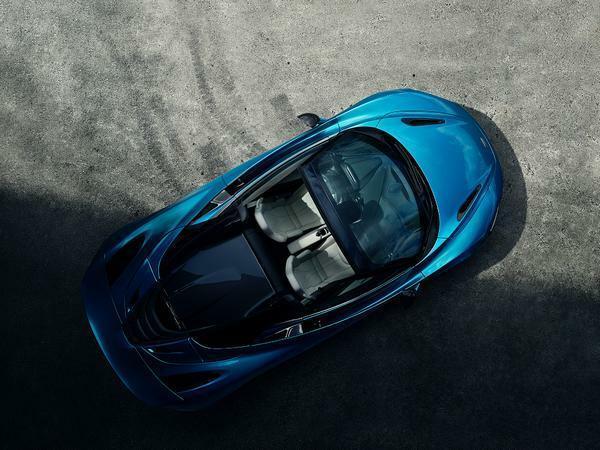 Of course, you won't want it to be hushed all the time, so - as with the 570S Spider - the rear window is independently controllable, which means you can have it down while the roof is up and invite the V8's shriek right in. Elsewhere the chassis and drive modes are much the same as the Coupe, although the mapping of the active rear spoiler has been automatically tuned to better suit closed- or open-roof driving. Look forward to picking a high spec 1k miler up for c£185k next autumn.